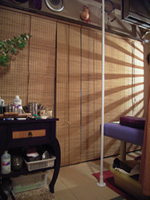 Kentaro Matsuura’s acupuncture treatments are formulated according to each individual’s condition, lifestyle and specific environmental factors. Kentaro Matsuura’s approach is to provide a holistic treatment that is based on a combination of both traditional oriental acupuncture methods and also drawing on modern medicine principles (deriving from Kentaro Matsuura’s academic and career background in pharmaceutical medicine). Persons who are interested in trying acupuncture for the first time are most welcome and can rest assured that treatments are delivered with utmost care and consideration to avoid any possible discomfort or unexpected side effects. All acupuncture needles are 100% disposable and used only once for each individual treatment. A key benefit of Chinese acupuncture is the stimulation of a person’s inherent self-healing ability - acting to boost the immune system. While undergoing treatment, it is not only possible to experience recovery from potential underlying conditions of ill health or sickness, but also to experience an overall increase of vitality and well being. It is recommended that persons seeking treatment inquire freely regarding assistance for persistent health problems - even where the cause is unknown - and please do not hesitate to discuss with Mr. Matsuura any medicines that one may already be taking. * Treatments are fit for a wide variety of demands and individually tailored programs are prepared. * Free consultation can be provided with regard to medicines - drawing upon Mr. Matsuura’s academic knowledge and pharmaceutical background. * Acupuncture treatments by machine (“needle-less treatments”) are available and needles are not used for this form of treatment. * All treatments are dedicated to improve your total quality of life. * Individualized treatments are developed - drawing upon the vast source of knowledge found within oriental medicinal philosophy. * Treatments will bring out your smile as you say farewell to pain and negative health conditions! Kentaro Matsuura was born in Japan’s Ehime prefecture, which was also the home area of his mother’s side of the family. The Matsuura family has always been very health conscious and influenced as such; Kentaro Matsuura also developed an enthusiast level of interest in the subject of well being from an early stage. Based on his existing interest in pharmacology, Kentaro Matsuura elected to attend a high school that offered a pharmacology department with an affiliated connection to a Jo-sai University’s faculty for pharmaceutical sciences. However Mr. Matsuura later changed his plans and decided to attend the Meiji pharmaceutical university - which specialized fully in the field of pharmacy. Mr. Matsuura’s early passion was to develop new medicines to help many people. However, the idea of being “locked away” in perpetual study as a researcher gradually steered Mr. Matsuura away from a career in research - since the notion increasingly seemed to be at odds with his foremost aim and passion to directly help people. Mr.Matsuura also came to recognize his strength of character in human relations might be better suited to following a career that would involve more direct contact and communication with the people he sought to help. So instead, after Mr.Matsuura had earned a pharmacist’s license, he started to work with the well-known Japanese company MATSUMOTOKIYOSHI - as a pharmacist. Mr. Matsuura found working as a pharmacist interesting but had a persistent feeling of unease - perhaps with his distance from the actual relationship to the people being aided - and found himself still yearning to reach a clearer embodiment of a “healer”. Mr. Matsuura felt at that time that pursuing medical school would complicate and slow his progress - and was reluctant to return to a student’s existence. Fortunately, Mr.Matsuura “met with destiny” when he came to met a new friend - Mrs. Kanyou Chou. Mrs. Chou happened to be a master of both acupuncture and oriental medicine. Mr.Matsuura’s new friend also helped him to become familiar with Chinese, Korean and Taiwanese methods of traditional treatment. Mr.Matsuura’s friend’s techniques and skill had evidently healed a great variety of diseases suffered by people - many of which had otherwise been assumed to be very difficult to heal. Meeting Mrs. Chou, Mr. Matsuura has said, was a major event that enabled him to find his true-life time calling and profession. Still, Mr. Matsuura had been hesitant to take the leap in such new direction -. due to factors such as tuition fees and time pressures. At that time though, he had a girlfriend with whom he broke up - thereby the breakup with the girl provided some assistance - an extra push to get started. Mr.Matsuura now says that he really appreciates the girl’s unknowing influence! So after that Mr. Matsuura was determined to become an acupuncturist and started an obsessive quest for the “this is it” ultimate method. He had heard of great seminars and study classes abroad and wanted to advance through both the practice and study of multiple techniques and methods. From this, the passion lead to traveling in China and Taiwan for study tours. During such trips Mr. Matsuura met some great people and was able to learn many kinds of treatments. Amongst those, Mr. Matsuura settled upon one particular style to pursue - and he then studied under a Taiwanese acupuncturist named Mr. Wang Tai Long. 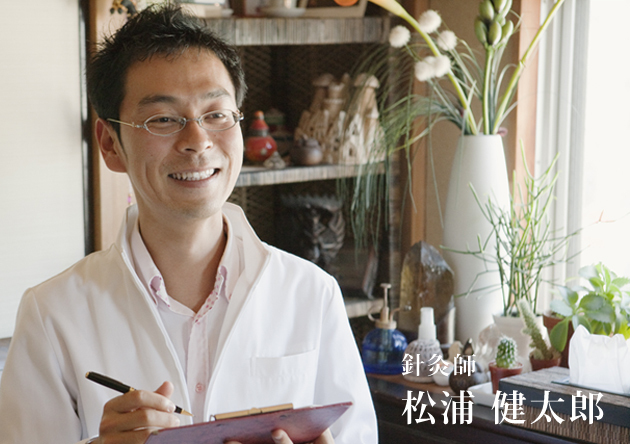 During the Daytime, Mr Matsuura continued working as a pharmacist and attended the Acupuncture school by the evenings. Also every Sunday, he attended seminars and the process became a serious challenge - especially when nearing the final grade. Also during this time, Mr. Matsuura assisted with the editing and production of a book of his Taiwanese Master’s methods. Mr. Matsuura actually also continues to attend the seminars and study groups to maintain this knowledge as closely as possible. Mr. Matsuura then started to open a clinic - working from his home - where he came to deal with a variety of health disorders and ailments reported by persons undergoing treatment. 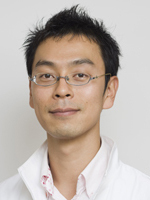 In addition to a range of health problems, Mr. Matsuura offers specialist treatment for problems related to sterility. In fact, since first opening the clinic, Mr. Matsuura says 30 women have been able to become pregnant and he says that it is a very great pleasure to later hear the “baby news” from such patients. Mr. Matsuura is also able to provide consultation for Chinese herbal medicines based upon his pharmaceutical background and connections. In addition, Mr. Matsuura holds monthly Beauty Acupuncture seminars for education and general enlightenment on the benefits of acupuncture. -Travel: 51 countries visited (and counting), Mr. Matsuura has quite a souvenir collection! * To have the opportunity one day to feature on a Japanese (NHK) TV program and to describe Acupuncture and his business. * To one day share his traditional skills and to establish treatment centers in developing countries. *To bring happiness and a smile to all people he encounters. What leads Mr. Matsuura to become an acupuncturist was simply a desire to holistically treat and heal people’s health problems - which more often than not is not possible using western medicines.